Alone with our children, one on one, we have a chance to see and hear and accept them as they really are, right now, in this moment. We see them not in relation to their siblings, friends, or peers, or as a piece of the larger family puzzle — but as unique individuals, each with a particular destiny to fulfill on this earth. Such recognition is a basic human need. This is hard for me to do. I try to steal moments — Cub Scouts offers an evening walk with one son, a half-hour later bedtime allows for one-on-one with my daughter — but being a time thief is a challenge. 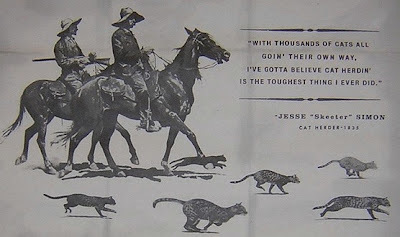 On most days I feel as if I’m herding cats. I think the bigger challenge is not to get your kids alone, but to step outside of our own attachments and expectations to really see and accept them for who they are (not who they are to/for us). I've been reading your blog for a while and I love everything you write: about what it means to be a woman, and a mother, a writer, and a human being. I have a deep sense of respect for you and love to follow. (laughs) Your realism gives us hope out here! I am not a mother or wife, however, I was reading this blog my friend loves and I disagreed with it (read: AHHHH!!) and wondered how a woman I considered a great mother and great wife felt about this one particular article.